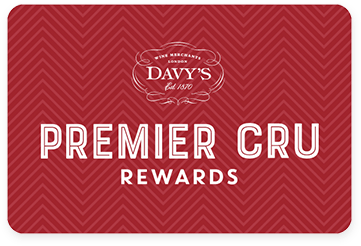 Premier Cru Rewards - Purchase this today and earn 354 points to redeem for free wine and gifts. This family-run Maison Louis Latour have witnessed more than two centuries of Burgundian history and is one of the most highly-respected négociants in the region. Complex and pure nose of white pear, apples and citrus notes mainly due to greater acidity of the vintage. The palate is powerful. Family-run Maison Louis Latour, Established in 1797, have witnessed more than two centuries of Burgundian history and is one of the most highly-respected négociants in the region. The House has always made it a point of honour to remain family owned. It is now run by the seventh Louis who represents the 11th generation of the founding family. Renowned throughout the world for the quality of their wines, they have built a reputation for tradition and innovation. They are the producer of some of the finest Burgundies but also pioneers of fine wines outside the confines of Burgundy. View our selection. The Latour family Domaine has been built up over the years and today, covers 50 hectares of vines. They own many vineyards in some of the most prestigious areas in Burgundy including Clos Vougeot and Chevalier Montrachet but also in Beaujolais and in southern France, in Ardeche and Var. White Burgundies are aged for 10 years in French oak barrels, which is 100% new for all of the Domaine’s wines. Only indigenous yeast are used for the fermentation. Red Burgundies spend up to 12 months in French oak and new oak is only used for ageing a percentage of the wine, in order to preserve the finesse of the Pinot Noir grape. Louis Latour Agencies was founded in July 1990 as the UK subsidiary of Maison Louis Latour. Over the years new agencies were added firstly from France and then from New World countries. Today they represent fourteen producers of wines and Cognac from France, South Africa, Australia, New Zealand and Chile.